Eva Shockey is hunter who defies the stereotype that hunting is a man’s game. 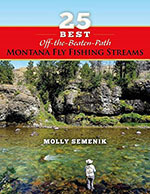 She is a TV and social media phenomenon at the forefront of a new wave of women and girls who are passionate about outdoor sports. 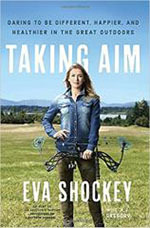 She talks with Art Young about her new book "Taking Aim." With 9 mouths to feed everyday, Alabama chef, hunter/angler and author Stacy Lyn Harris keeps busy in the garden and kitchen. She is a master atpreparing food using locally based vegetables, meats,fish and wild game. 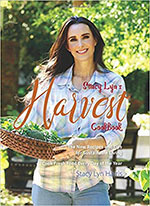 She also has a new cookbook - Stacy Lyn's Harvest - and she stopped by the Outpost to talk with editor Art Young. It's always fun to meet a young woman with ambition at the beginning of her career. That's Katy Vandiver and she's set to take off in the very near future. Troy Ball was a mom who turned into a moonshiner. 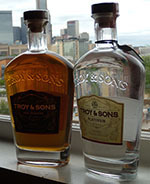 After landing in Ashville, N.C, finding some heirloom corn and getting some training from some good 'ol boys who knew how to make smooth whiskey, she started making her own stuff...legally. She stopped by the Outpost talk about how this whole story came about. Timber! There is a right way and a wrong way to trim tree limbs for better hunting lanes. Certified arborist and hunter Chad Simmons stopped by the Outpost to explain. 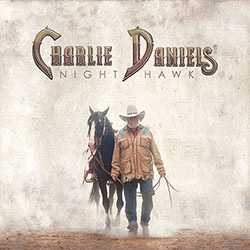 Kix Brooks is much more than a Country superstar-songwriter and member of the legendary duo Brooks and Dunn. Kix is also the host of American Country Countdown with Kix Brooks and Kickin' with Kix. He is a wine maker, TV and movie star, too. But, Kix is big in the outdoors as a hunter, fisherman, and conservationist. You won't want to miss his insightful conversation with The Outpost Radio's Tim Howard. 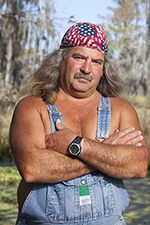 Swamp People is one of the most successful reality shows on The History Channel and one of member of this gator-chasing bunch is Bruce Mitchell of Hammond, Louisiana. He stopped by the Outpost to talk alligators, food and fun. 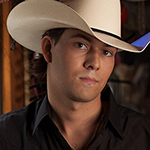 At just 23 years old, country singer William Michael Morgan, is on top of the world with a hit record, a new baby and opportunities to get out and enjoy the Great Outdoors.